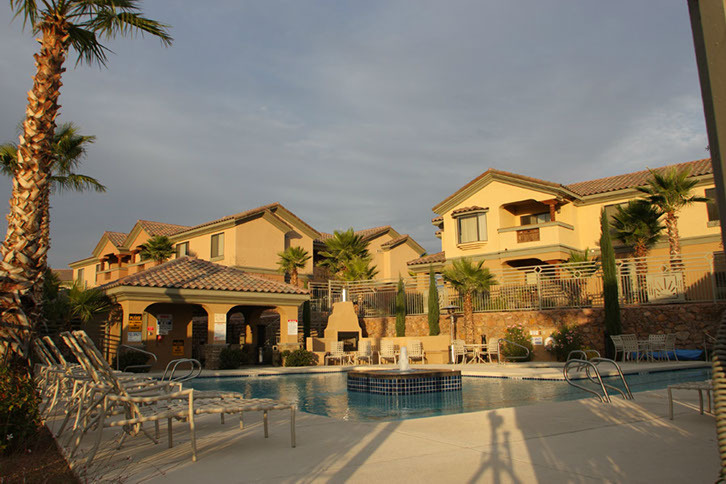 The Casitas at Morning Star is the premier location for condo living in Las Cruces. There are 271 units in two phases. More than half are owner occupied, while the remainder are long-term rentals or short-term furnished units. The amenities are what you would expect in a first class residential area. There are two pools (one indoor, one outdoor), two exercise areas, and two clubhouses. One of which contains a large, self-administered library and the second hosts several hundred DVDs for residents use. But the Casitas has something very special and unique to set us apart from other condos and apartments. We have a very close and diverse community that works hard to make sure everyone is welcome and that there is something for everyone. In September of 2017 the local paper, The Las Cruces Sun-News wrote a front page article about our unique neighborhood. In essence, the newspaper’s article praised The Casitas for creating a community where everyone can feel welcome and safe. Each month begins with a Casitas Newsletter updating residents on what is happening inside the Casitas perimeter and what local events are available outside the gates for that month. The newsletter is typically 7-8 pages long. Sometime during the month, there is either an HOA Board Meeting or an HOA Listening Meeting where residents can gather and offer their opinions on how the management team is doing or should be doing. Tuesday evenings there is chess in one of the clubhouses. Every other Wednesday evening there is a poker game most months of the year. Every other Thursday evening there is Bible Studies for about 6 months during the year. On the second Thursday of the month, there is a very active book club which meets from October through April. Friday evening is game night in one of the clubhouses. All kinds of games get played. The residents self-select what they want to play. Sundays are Chess and Splash. Children learn and play chess for 90 minutes and then spend up to an hour in the indoor pool. One of the children is NM State Champion for her age group; her brother is number 2 in his age group. Adults are welcome and there are always two or three adults playing the kids. There is the oddly named Casitas Thursday Lunch Bunch. The New Mexico State University Department of Hotel Management presents gourmet lunches for $10 a person when school is in session. The Lunch Bunch attends every Thursday with an average of 8 -12 residents and guests. Unique and fun. All residents are encouraged to attend. It has been a popular way for new residents to make friends. The Lunch Bunch also visits other local restaurants occasionally when school is not in session. Four Community Dinners are held during the winter months. These dinners are organized entirely by volunteers. Each dinner is held at one of the better restaurants in town. These dinners attract 40 or more residents and friends to each event. Other volunteers and Casitas Staff plan approximately 9 onsite community parties throughout the year. Valentine’s Day, Cinco de Mayo, summer BBQ, Halloween, Thanksgiving, and the end of the year Holiday party are just some of the events. The volunteer-driven Thanksgiving buffet usually attracts 60 or more residents and friends.